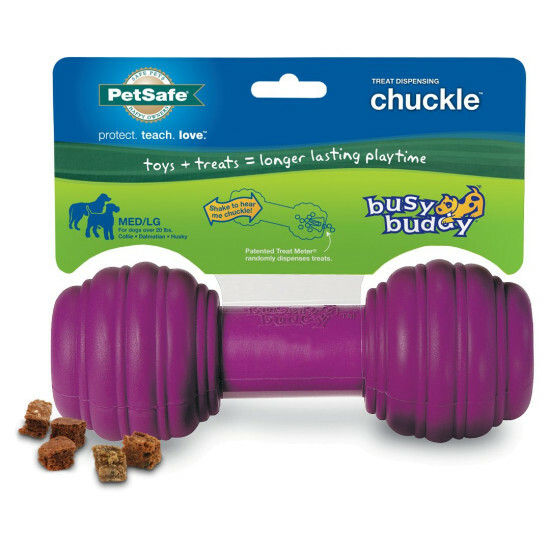 Shake the Busy Buddy Chuckle for a chuckle sound that’s sure to perk up playtime. Each end of the Chuckle features the patented Treat Meter®. 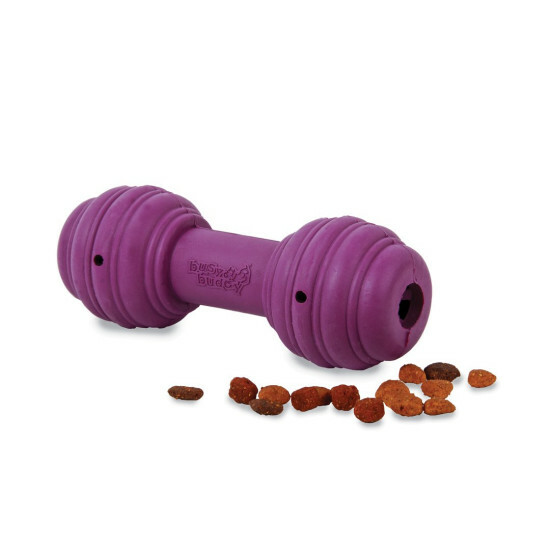 Stuff it with treats or kibble for longer playtime. To use, insert treats into one or both ends of the Chuckle. 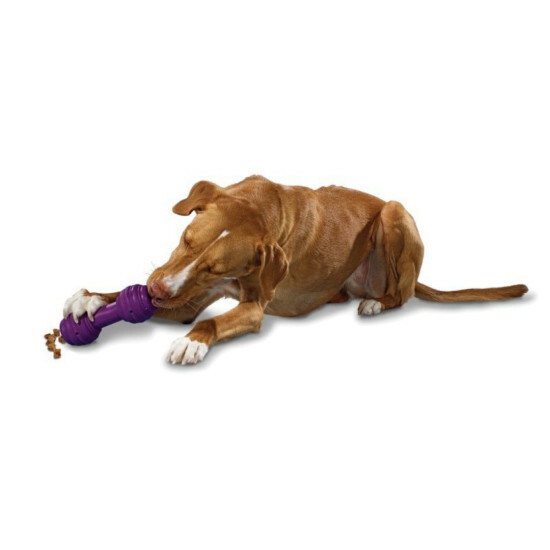 If you would like treats to come out faster, you can trim the Treat Meter® prongs. Once the prongs are cut, there’s no going back, so we recommend trimming only a little at a time and then testing.